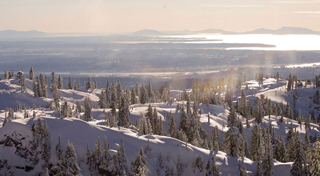 Step out of the office and into Mt Seymour's mountaintop wonderland, only 30 minutes from downtown Vancouver. 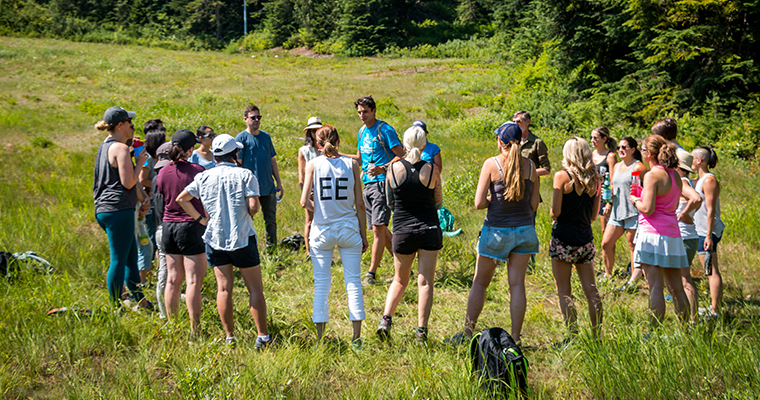 Mt Seymour offers programming for corporate groups that can add something extra to your next function, team meeting or corporate experience. For further information conact our Group Accounts Manager at 604.986.2261 x208 or mkellett@mtseymour.ca. Having your meeting in one of our facilities? Why not have our facilitators come and break up your day a little with some fun and challenging icebreakers. Let our Outdoor Education Department take your team out of the office and into the trails for a refreshing lunch time hike and picnic. Our packed lunch menu is inspired by the changing seasons and always features a diverse selection of dishes made with delicious locally sourced ingredients. We aim to ensure that there is something on offer to meet all dietary needs and our menu always includes vegan, gluten-free, and dairy-free options. The perfect way to break up the day and reenergise your team. A great introduction to mountain ecology. Have you ever wondered how trees and animals thrive in such a dynamic harsh environment? Discover the amazing adaptations that allow them to do so while learning the basics of mountain safety. This interactive teambuilding program leads groups through fun, fast–paced, team oriented tasks and challenges out on the trails. Are you prepared to go head to head and come out on top during the Mt Seymour Showdown? This teambuilding exercise encourages you to think outside the box to complete the challenges, while exploring Mt Seymour’s beautiful Discovery Trails. This option is perfect for groups of varying abilities and ages. Armed with maps and compasses, teams must work together to collect points by reaching as many checkpoints around the mountain as possible. (all checkpoints set in beautiful locations around Mt Seymour). Will your team aim for all the higher value CPs or will the dash to grab all the easier to get low value CPs? The team that collects the highest value of points wins! Come join us for a hike back in time. Search the forest for cabin sites and remnants, find some that are still standing, and hear amazing stories about these north shore pioneers.